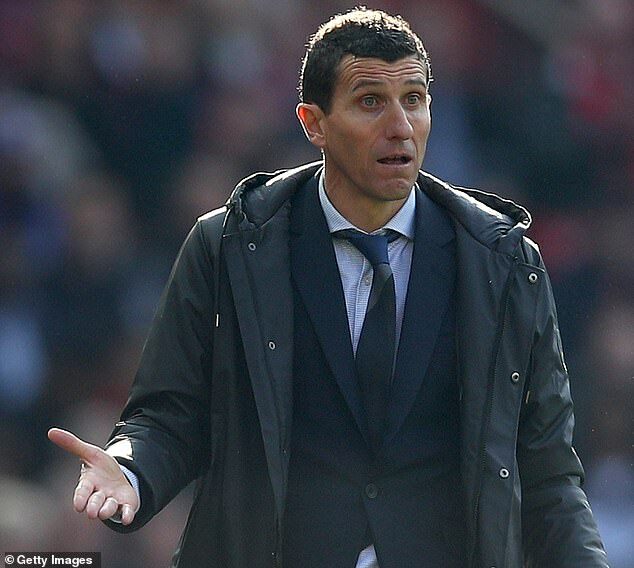 The Cottagers head to Vicarage Road on the brink of dropping out of the Premier League, with another defeat set to see them follow Huddersfield down into the Championship. Gracia's squad could be forgiven for having their minds elsewhere, already safe in mid-table and with Sunday's trip to Wembley to look forward to. The Spaniard, though, has called for full focus on Tuesday night against a team still mathematically at least with a chance of beating the odds to stay up. 'I think the best way to prepare for that important game we play on Sunday is to try and win the next game,' Gracia said. 'That is the best way to respect the FA Cup and to respect the Premier League as well. 'I will choose the players I want, but I am always thinking about the best formation and the best line-up to win the next game.